They're entertaining as they are relevant. (SPOT.ph) Philippine cinema has given us a lot of socially aware films over the past few years. They didn't just keep us entertained—they've also dared to say something that had to be said about Philippine society. 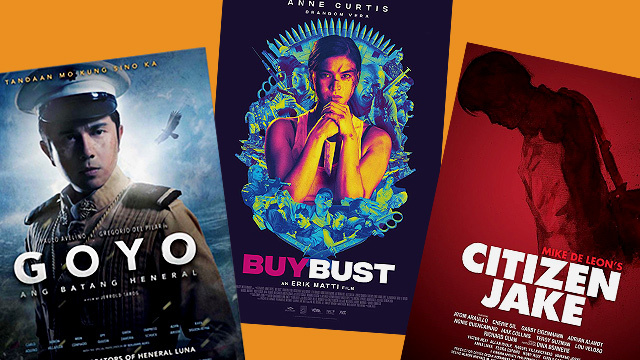 Here are 10 must-watch films that offer compelling stories for the #woke Pinoy. Respeto earned much-deserved praise—and a boatload of awards—when it was released in 2017. A film as much about artists as it is about the society that stimulates and hurts them, Respeto’s genius lies in its bridging of Pinoy rap and activist poetry. "Young rapper meets a grizzled poet" can be a hokey premise, but powerful performances from Abra and Dido de la Paz ground us into Respeto’s world where art functions as society’s mirror. Watching the film is a singular experience—a swirling vortex of rap music, fury, and redemption. Carrying a considerable literary pedigree, Smaller and Smaller Circles is an adaptation of the popular and influential F.H. Batacan crime novel. While it could just as easily be exploitative drivel given its dark subject matter, Raya Martin’s direction shaped the film into a mournful, damning examination of powerful institutions and how they breed evil. Grounded performances from Nonie Buencamino and Sid Lucero as crime-solving Jesuit priests ensure that the difficult subject matter does not buckle under its own weight. A handsomely crafted ode to Old Manila, Ang Larawan is a musical that also says something meaningful about Filipino identity and our complicated history of colonialism. Based on a three-act play by National Artist Nick Joaquin, the film revolves around one painting—a self-portrait by a fading artist who has sequestered himself inside his crumbling home. Guarding the man and his final painting are his two daughters, played with touching emotional depth by veterans Rachel Alejandro and Joanna Ampil. It is a story of a family but also of a faded city caught in rapidly shifting tides, with a looming war that would soon destroy the spirit of the city and its inhabitants. 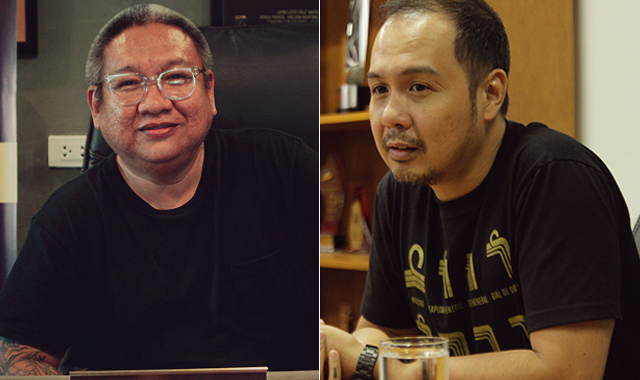 Earlier in 2018, the venerable Mike De Leon returned to Philippine cinema after two decades of absence—and he is angry. Citizen Jake unfolds like a dream, or a fevered recollection, mimicking the difficult way this country recalls its recent history—or rather, the way that it fails to remember at all. Its protagonist, the titular Jake (Atom Araullo) is a flawed crusader, driven by personal loss and compromised by a family name that announces its privilege wherever he goes. When it can be a straightforward investigative yarn, it instead unfurls into a mosaic of flawed social institutions and the people who seek to keep them that way. Fascism is back, the film seems to say. And it'll make you fear that it might just be right. “Men never learn,” says one character in Lav Diaz’s Ang Panahon ng Halimaw. This gem is Diaz at his most surprising and accessible. A monochrome rock opera about Martial Law with Piolo Pascual and Shaina Magdayao as husband and wife is about as straightforward a description you can give this film. But it also has a directness that is unexpected coming off of Diaz’s long string of cinematic allegories. Diaz’s stark minimalism plays well with a Martial Law story: The mythic and the personal intertwine and it is uncomfortable in the best way. Above all, Ang Panahon ng Halimaw is a reminder that there are still monsters in our midst—and their season may be arriving. Few films in recent memory have been as visceral as BuyBust. A condemnation of the so-called war on drugs by way of an action thriller, Erik Matti’s film is also ridiculously entertaining. The plot is incredibly simple: You follow government agents in a nighttime raid that goes from bad to worse to absolutely apocalyptic. At the center is a revelatory performance by Anne Curtis, substituting her considerable rom-com chops for a steely, gutsy turn. BuyBust has loads of style, but it is also a howling indictment of the futility of violence in response to deeply entrenched social ills. The film on everyone’s lips at this year’s Cinemalaya was about a mother telling fantastical stories to her young son. 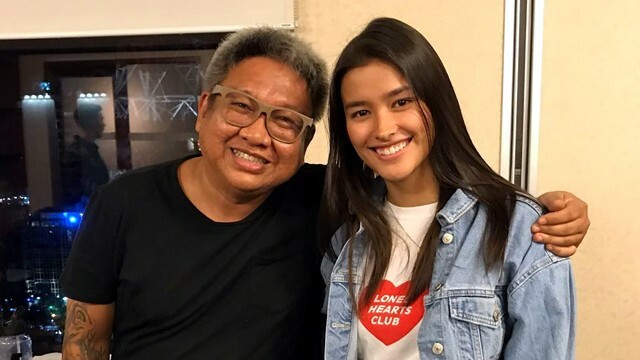 That basic premise belies the film’s ambition—this is based on the real-life story of an Amazon who was captured and detained by the military in 1980s Martial Law Philippines. Director Kip Oebanda, drawing from his experiences as a young boy detained with his mother in a prison camp, presents a deeply human story of family impacted by political persecution. It is a personal recollection writ large, refracting the past onto our uncertain political present. Glaiza de Castro, playing the titular Liway, commands the screen with a performance that is brave and fiercely feminine. ML, also a 2018 Cinemalaya standout, is a middle finger to all Martial Law revisionists. The film is straightforward with its intentions: What happens when a young Filipino who denies the evils of Martial Law is confronted with its horrors first-hand? This tale of torture and injustice is anchored by a towering Eddie Garcia performance, with his unmistakable voice and imposing figure dominating everything—and everyone—in the film. ML presents Martial Law for what it is: A Filipino horror story. The lone non-fiction entry on this list, Call Her Ganda is a revealing documentary about the 2014 death of Jennifer Laude, a transwoman, at the hands of an American marine. A personal tragedy that surfaces our culture’s transphobia and the long-standing unfairness of Philippine-U.S. relations, the documentary mourns the loss of a vibrant, young transwoman. And yet, it also becomes a story of three women: Jennifer’s mother, a trans woman investigative reporter, and an activist lawyer. Call Her Ganda transcends its fact-based outlines and becomes a story of process, specifically the uphill, often frustrating, exercise of calling for justice and demanding accountability. Goyo: Ang Batang Heneral is a curious beast of a film. With Paulo Avelino in the lead role and a demonstrably large budget, it has all the trappings of a feel-good rah-rah hero’s tale. But filmgoers were confronted with something much more nuanced and conflicted. Tarog’s direction and Avelino’s performance reveal the human instead of the hero. A film in conversation with itself, it challenges our simplistic notions of leadership by having multiple characters interrogate the question of heroism and idol worship. If you ignore the balletic cameras and rousing music and focus on the characters’ silences and their conflicted faces, you start to see the film’s ultimate point: Love for country should trump love for one—or any—leader.